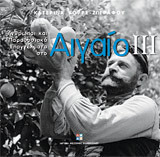 The book "People and Traditional Professions in the Aegean III", which was published recently by FHW, is an inseparable part of the two previous volumes of the series ("Aegean I" and "Aegean II"), this time dealing with Create and Skiros. The author, through the recording of traditional professions, which continuously decline in the present days, researches, with the tools of social anthropology and folklore, the transformations in the local communities, mainly in the last three decades of the 20th century. The main objective remains the demonstration of man as the creator, but also as an integral part of the specific islands, in order to ensure survival and social cohesion. Crete, the great island, a place where cultures interact, imposes its leading presence on the wider area, creating a stable network of communication, economic relationships and cultural exchanges, not only with the other islands of the Aegean, but also with far away places. Skiros, on the other hand is a small, isolated island in the centre of the Aegean, with traditional professional activities and dexterities that allowed people to survive in a hard environment, but also for traditional culture to flourish. The author traces the great changes in the traditional professions, mainly in the decade 1950-1960 and at the same time the great upsets of the local communities in these islands: working relationships, diet and clothes, social relations, family ties. She combines in a unique way the study of written sources (monographs, journals, travelers' texts, legal documents) with products from the material arts, which constitute a valuable first material, and with personal narrations, which transform individual memory into collective.